Medical Yogatherpy is advised, after diagnosing the case. This is scheduled according to severity of the case. 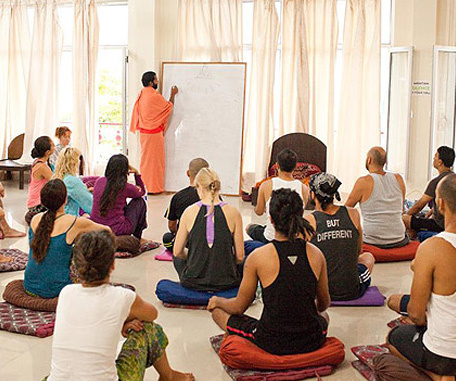 MYT sessions are conducted at our well equipped Unnati Yoga Institute, located at Shivajinagar, Pune, India. These sessions are given by our well trained & experienced staff. Use of Ropes & belts. Shavasan (Conscious relaxation) & Pratyahar. Initial aim of MYT in case of degenerative musculoskeletal disease is palliation of symptoms & later on restoration. In case of psychosomatic disorders, the aim is to minimize the chronic stress response. One has to practice these sessions for a period of 3 months, or longer.